Greetings Branch High Alumni and Friends! Reunion 2006 is fast-approaching and we are eagerly looking forward to seeing you September 1, 2, and 3, 2006, as we gather for the 10th Branch High Reunion celebration in Newport, Arkansas. If you joined us for the very first gathering during 1988, any gatherings during 1988 - 2004, or never before, you will want to be certain to be here for this 10th Celebration, which will take you back down memory lane as we re-create memories from the past -some long-forgotten — while others are still as fresh today as they were 20, 30, or 40 years ago. Plans for this three-day festive occasion are still being finalized. Registration will be held all day Friday, September 1st and until 11:00 a.m. on Saturday, September 2nd. Meet and Greet will be held Friday evening, along with music from the 50's, 60's, 70's by DJ Paul of 102.1 radio station, Little Rock, and Karaoke/talent entertainment. Alumni are encouraged to participate in the Karaoke/talent entertainment, which is expected to be a fun-filled night of singing, carousing, other talent competition, and reminiscing with former classmates, school mates and friends. This year's Memorial Service, honoring deceased teachers, students, staff, and legendary community members will be held Saturday, September 2 at noon at First Baptist Church, Newport. The annual banquet will also be held on Saturday, beginning with social hour at 6:00 p.m., at the Newport Country Club, followed by dinner at 6:30 p.m. Immediately following dinner, a dance featuring one of Little Rock's hottest bands, will incorporate oldie-goldie tunes with today's music to provide musical scores for everyone. On Sunday, September 3rd, alumni and friends may worship at the church of choice. A picnic, which will be a catered barbeque, will be held at beautiful Jacksonport State Park. This year's event will be catered by Branch High alumni, the White family (Frenchelle, Billy Joe, David, Lytin, Roxanne), who are franchise owners of a Sim's barbeque in Little Rock. A website is currently under construction and the Branch High Reunion Choir is being organized. Once the website is up and running, you may check in at the site to keep abreast of plans as they are finalized. The reunion choir is being scheduled for a performance at the banquet and the memorial service. If you were a member of the Branch High choir, your participation is being encouraged, as we try to once again to bring this group together. When returning the form, please be sure to include your email address and be sure to share this correspondence with other alumni and friends or you may leave your email address at Branch@WFBranchHiSch.org. Please share the mailing addresses and email addresses that you have of others. In addition, we are asking that if you have names of alumni or friends who are deceased and wish to add to the necrology, please email them, add them to your form, or call President Henderson. A souvenir booklet is also being planned. If you have photos, anecdotes, or short stories from past school days or reunions, please submit them to P.O. Box 255, Newport, AR 72112 or email them to Branch@WFBranchHiSch.org. These items could, be included in the souvenir booklet or in the "Branch High Story" which is currently being planned and produced and will be a part of the Saturday night festivities. 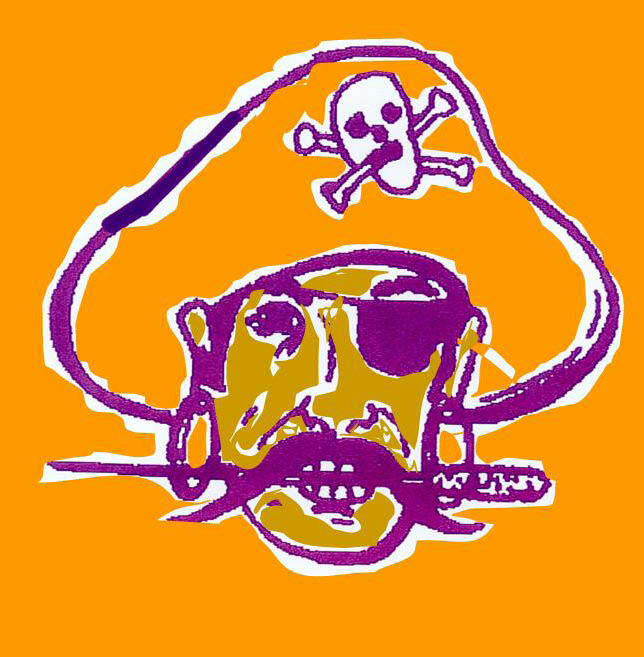 The $70 fee per person for this year's celebration includes all scheduled events and the purple and gold reunion shirt with the Pirate logo. The deadline for this fee is July 1, 2006. Because of deposits and other advance payments by the committee, all fees must be paid in advance. We regret that there will be no on-site registration. Registered guests may pay an additional $10 for children who will be participating in the picnic and must indicate the number of children who will be attending the picnic. Additional reunion shirts, aprons, and canvas bags bearing the BHS pirate logo will also be available for purchase throughout the weekend. All prospective vendors must contact President Dwight Henderson at the above address or by calling 501-772-3554. For questions or more information, you may also contact President Henderson. Motel reservations may be made at Fortune Inn, 870-523-5851, single room $54/double room $59 per night; Days Inn, 870-523-6411, double room $55 per night. Please mention Branch High Reunion. The 2006 reunion committee is excited about the upcoming event and your participation in this event. We look forward to seeing you at reunion 2006! PLEASE COMPLETE AND MAIL THE REGISTRATION FORM. Thank you. Click This Link For The REGISTRATION FORM.